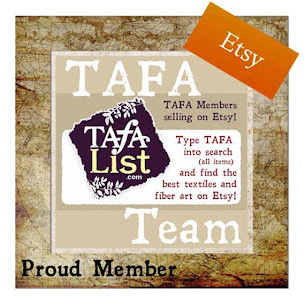 Welcome to our TAFA Shop! The textiles and fiber art you find here are on virtual “consignment” from our members. Once purchased from us, they take over and ship to you. We have over 500 members from 44 countries and we are selecting our TAFA Shop products from vetted members who have a great track record as leaders in their communities and as online businesses. Shop with confidence!